The watch the president will be wearing on the 12th is a Jorg Grey quartz chronograph. You can certainly be forgiven if you have never heard of Jorg Grey, they are a small brand based in California, more of a “fashion” brand perhaps. If you want your very own presidential watch it will cost you about $270 on Amazon (sure Obama’s has the seal of the secret service on it, but who would notice the difference). So what does this watch say about the man? It says he is a politician. Prior to becoming president Obama wore a Tag Heuer. Obama is not the first President to compromise his horological interests for the sake of politics. 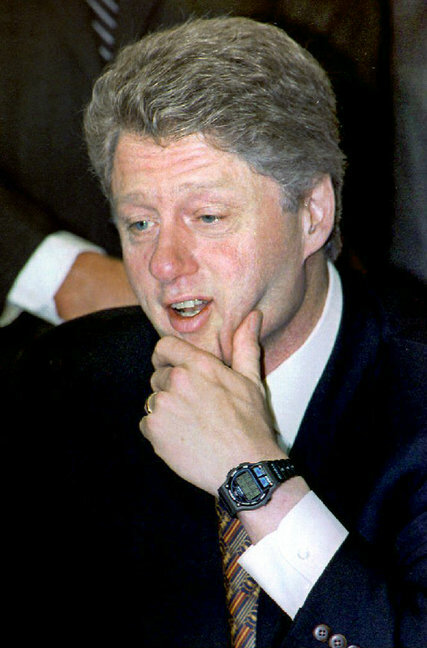 George W. Bush wore a timex indiglo throughout his presidency and Bill Clinton (now a rather serious watch enthusiast) was known for his rubber timex ironman. What’s so wrong with wearing a nice watch? Its affordable: Despite Obama’s considerable personal wealth (he made over $5 million from his book sales) a high end watch would not play well with middle america. I’m not one to say if the President is in fact an Amateur Horologist himself, but if he is he need only suppress his watch desires for 11 more months. For now at least, regardless of his personal wealth, Obama will have to wear the watch the people would want him to wear, regardless of his. As I alluded to when talking about Bill Clinton, its not all bad news for watch enthusiasts who also happen to be the President of the United States. In fact, things get pretty good for former presidents in the timepiece department (and I imagine in most departments). 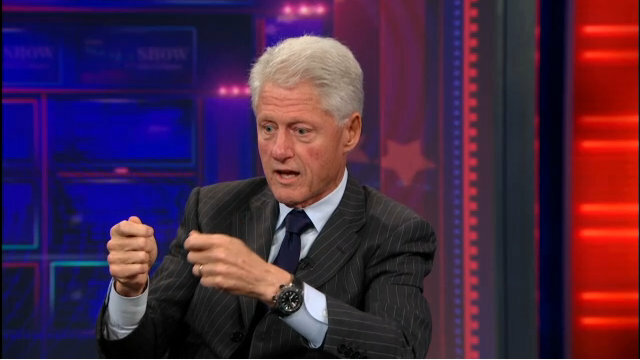 Bill Clinton is perhaps the most notable of the former presidents/horology enthusiasts. Bill has amasses quite a collection, including Panerai, Jaeger le Coultre, and A Lange und Sohne (thought those might sadly see very little wrist time for a while). George H.W. Bush wears a Patek Philippe perpetual calendar presented to him as a gift by the company. So what watch will Obama wear when he leaves office? He may go back to the Tag he wore for almost a decade, or maybe he will stick with the Jorg Grey for sentimentality’s sake. He may also take advantage of a gift given to a number of presidents and wear a Vulcain cricket president alarm (so named because Eisenhower wore it as president). He has another 11 months to figure it out, I’m sure he doesn’t have too much else to think about. But what about other world leaders? Welcome to the Amateur Horologist. My name is Will, a 23 year old working in Washington DC and a 3rd generation lover of watches. You may ask why someone with no industry connections and no journalistic experience (as my writing style will no doubt illustrate in coming blog posts) would want to create a watch blog in a world filled with excellent watch blogs already (if you doubt that, try visiting hodinkee.com or quillandpad.com). I think the answer lies in the question asked. Those sites are excellent and I spend an inordinate amount of time each day on them, but they offer a very specific perspective. These are experts who have dedicated their lives (or much of their lives) to learning about watches, watchmakers, and watch brands. They bring their readers in depth knowledge on every new release and every auction and they do so incredibly well. They are the Roger Ebert’s of the watch world. I, on the other hand, aspire to be the Rotten tomatoes of the watch world. I want to dumb down the mechanical world of horology so us amateurs can not only enjoy the mechanical watches we wear, but understand how they work. I am no expert on the mechanics of watches, but I’m not looking to give an experts description. I want to arm you all with the ability to answer the question “Why is the second hand on your watch not ticking” in a way that is sure to annoy all of your friends. I want to bring the perspective of someone who can’t buy a $10,000 to the world of mechanical watches. We can all enjoy fantasizing about owning a case full of Patek Philippes, but I strongly believe there is great value in the world of accessible watches, and I want the blogosphere (note-I will never use that word again on this blog) to pay more attention to it. So, with that rant out of the way, welcome to The Amateur Horologist. I hope you all enjoy.